My Local Plumber has been servicing Fort Worth Texas and surrounding areas for many years. Even the smallest of plumbing problems can cause distress and setbacks for a property owner. When a difficulty arises, you will want to get it fixed as soon as possible, but what if it’s happened late at night and you don’t want to leave it until the morning to get help? Well, that’s where we come in. 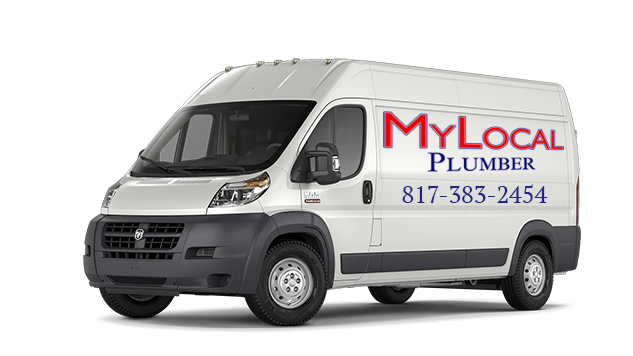 AtMy Local Plumber, we provide 24-hour service, seven days a week. With many years worth of experience behind us, there’s not much that we can’t handle when it comes to plumbing. If you want reliable, certified and professional plumbers, look no further than us. We provide a wide variety of plumbing services that are always carried out to the highest possible standard. Many people take their plumbing system for granted and neglect to look after it until a plumbing issue surfaces. To avoid needing to deal with significant and costly plumbing problems, we can provide your property with regular maintenance. During this check-up, we’ll thoroughly inspect all of your fixtures and equipment for signs of damage. By having annual maintenance on your plumbing carried out, we don’t only detect problems in their early stages, but we can also prolong the life of your equipment. When you have a plumbing problem such as a leak, you’ll be paying for water that’s getting wasted. Plumbing maintenance is a cost that many people think they can skip, but it can end up saving you hundreds of dollars down the line. If you want plumbing repairs and installations carried out by the best, most skilled and experienced plumbers, you won’t find any better than My Local Plumber. Our plumbers carry out all of our repair and installation services to the highest possible standard. We can ensure that you will receive customer satisfaction when you employ us. We can repair and install anything from water heaters to toilets and faucets to water softeners. We can provide you with new installations. Whether it’s for a new home, or you’re replacing old fixtures, you can put your trust in us to get the job done correctly, safely and efficiently the first time around. With three decades of experience, we can give you expert advice. When it comes to choosing a new water heater, we can help you to pick a one that suits not only your home’s needs but also your budget. Here at My Local Plumber, we deal with all types of leaks. When you have a leak in your property, get in touch with us as soon as possible. The quicker you call us, the faster we can fix the problem and the less water damage your home will suffer. Our skilled and experienced plumbers can handle any leak quickly and efficiently. Over the years, we have dealt with many clogged drains, and every one of them that we have faced hasn’t been bad enough to defeat us. When you have a blocked drain, give us a call, and we’ll work our magic. No matter how stubborn it is, we won’t give up until the job is complete. When you have a clogged sewer line or drain, you may notice water backing up into your shower or tub. If a clog goes unnoticed or ignored for too long, it can eventually cause havoc in your home, and you’ll be left with dirty waste water to clean up. If you own a business and your property is experiencing a plumbing difficulty, in some cases, you’ll need to shut your establishment down temporarily. Losing working days due to plumbing issues can be hugely inconvenient and cause your business to lose out on money. At My Local Plumber, we can be with you whenever you need us. Due to our 24-hour service, we can work out of regular business hours to get your plumbing issue resolved as quickly as possible. If you’d like to find out more about the services that we offer, you can call us today on (817) 596-0309. One of our friendly representatives can also provide you with a quote or schedule you an appointment. For the best plumbing services in Fort Worth Texas, get in touch.